Take an egg carton made for one dozen (12) eggs. 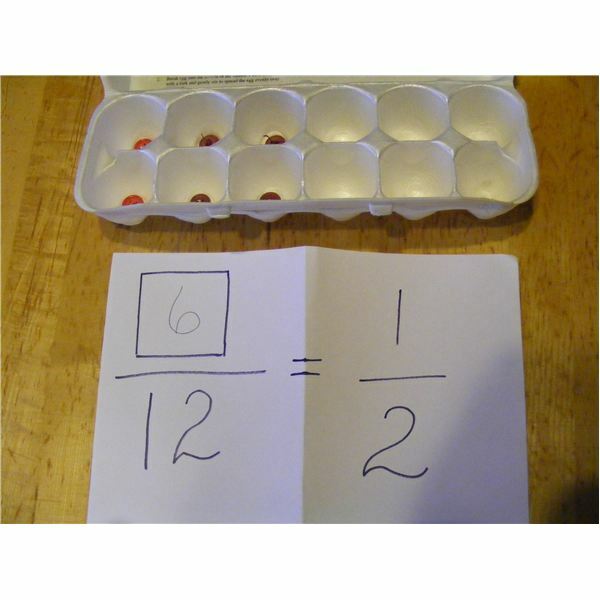 Use the egg carton as a tool to teach and model fractions. The size of an egg carton does not change. 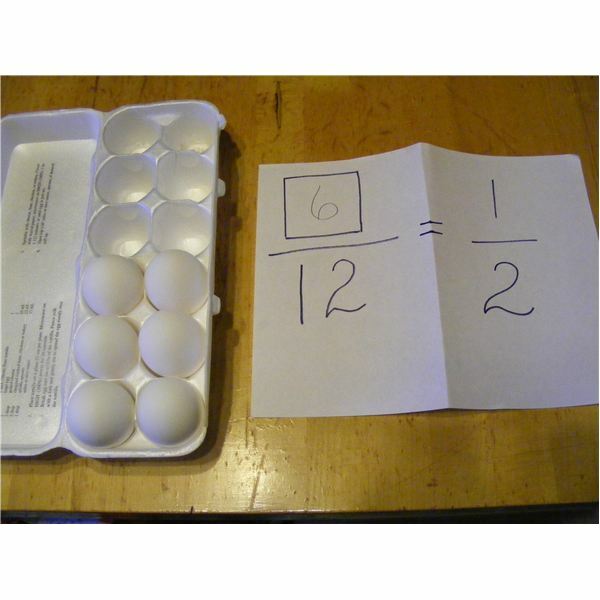 The child should demonstrate to you what simple fractions are by putting eggs into the carton. You could use marbles, buttons or other things to place in the egg carton if you do not want to use eggs. Ask your child to show you the fraction 4 / 12 by filling some of the egg carton. The child will understand that you place the amount out of 12 into the carton. On a piece of paper have them fill in the numerator as they fill in the amount you ask for. The denominator is 12 and can be written in also. As you ask for different fractions, they will notice that the denominator doesn’t change. They may begin to understand that a denominator is the stable amount, the container which doesn’t change, represented by the egg carton. They then will understand that part of it is being filled. This part is the numerator and will be written on the top of a fraction. Continue to ask to be shown different amounts such as 2/12, 3/12 or 6/12. When the child has demonstrated and written these amounts on paper, then ask them if they can show you 1/2 of the egg carton. See if they know how to fill 1/2 of it. Ask them how many eggs this is. So if 1/2 of the carton is the same as 6/12, you can then begin to help them see what an equivalent fraction is. You can have them demonstrate 1/3 easily in the same way. Draw a black line to divide the carton into thirds to help visualize 1/3 of a carton. You can cut the carton apart to physically show the thirds are the same size, and the same as filling 4 places out of 12. You can also have them demonstrate 2/3 by filling in two of the 3 parts of the egg carton. 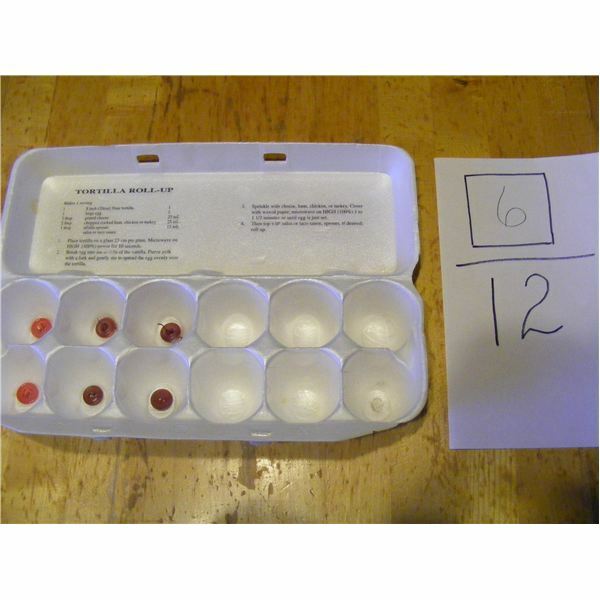 They can count the eggs to see that 8 out of 12 places are filled. They will then see that 2/3 is equivalent to 8/12. Have them demonstrate 3/4 or 2/4 in the same fashion. The carton can be cut apart into quarters to help them visualize the 4 parts of the original 12 places in the carton. Ask the child to fill more than 12 places in the carton. Ask if it is possible. When they find that they cannot, they will understand that such a fraction is impossible to demonstrate and therefore is called an improper fraction. 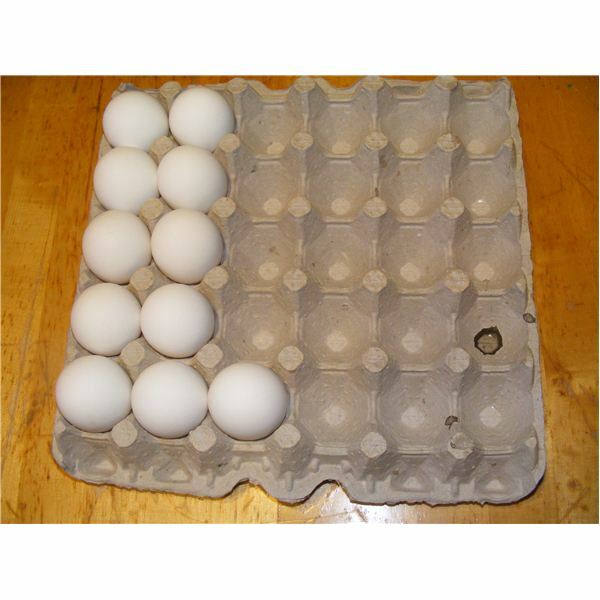 To show how to place 14 eggs into a carton, and write a proper fraction, use 2 egg cartons. Have them fill 1 carton and then place the extra 2 eggs into another carton. Show them that the fraction 14 out of 12 is written as 1 and 2/12. When 1 carton is filled, the whole number 1 is used. The denominator still remains as 12 to show how part of the other carton is filled. 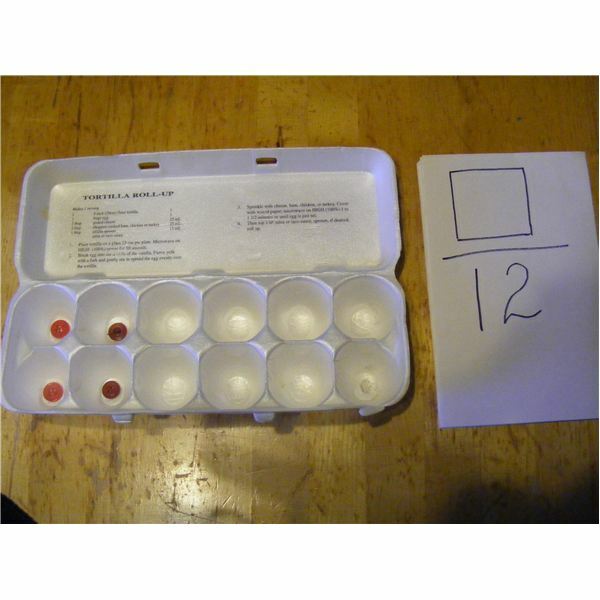 Once your child understands the egg carton example, you may then use egg cartons of different sizes (30) for modeling other fractions. Once the idea is established that the denominator is the container, they will understand that the numerator shows how much is partly filling the container. Use other containers to represent the denominator. 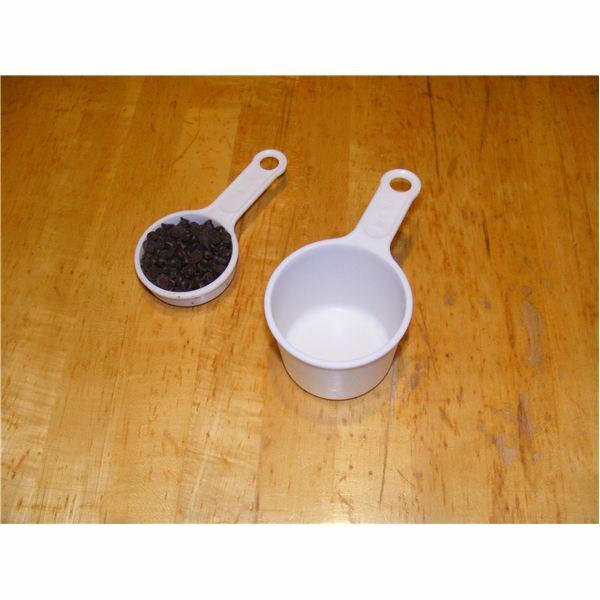 Use a 1 cup measuring cup to show how you need to fill the cup 4 times with a 1/4 cup measuring cup. Repeat with the 1 cup measuring cup filling it 3 times with the 1/3 measuring cup. Then ask them to demonstrate how to fill the cup to represent 2/3 of a cup. Ask them if it can be filled 4 times with a 1/3 measuring cup. What proper fraction would they write to represent 4/3? Demonstrating fractions is easy once a child begins to understand parts of a whole. 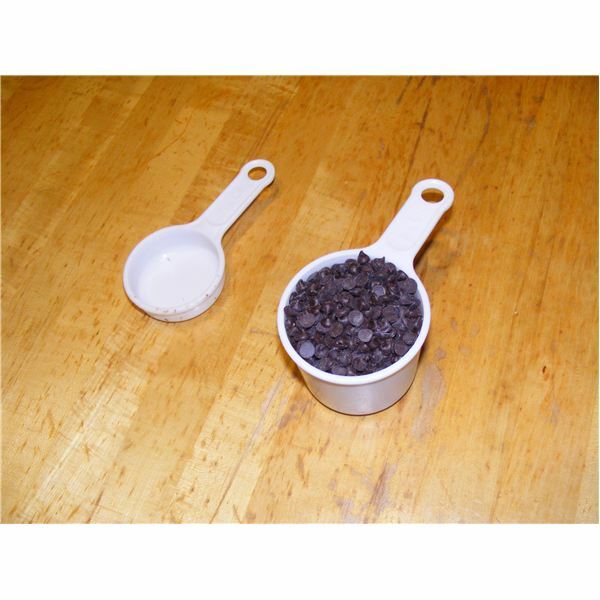 When they use the measuring cup to follow a favorite recipe they can easily see how a 1 cup measuring cup could be used and just filled part way for any fractional amount needed. By providing fraction help at home, your child will be able to easily understand and write fractions. Start your fraction fun today! This series will show how to write and model fractions with an egg carton at home. Your child will learn to write proper and improper fractions, find equivalent fractions and multiply fractions. 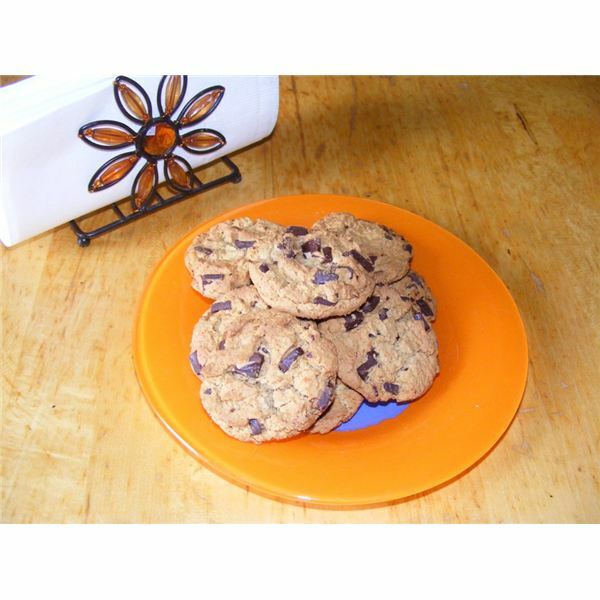 It is a fun and easy way to use recipes with fractions for hands on learning.